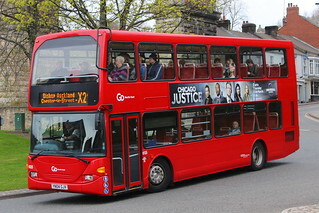 This vehicle has entered service at Stanley Depot. 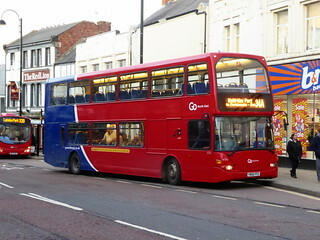 It has joined similar 6168 (YN56 FFH) and 6169 (YN56 FFJ) at Stanley, and releases 6176 (YN56 FFS) to Chester-le-Street, so that the allocation at Stanley have consecutive fleet numbers. 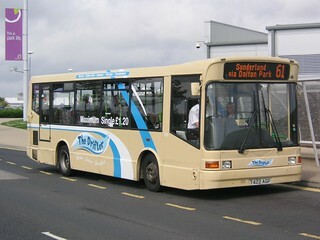 In line with the expiry of its MOT, this vehicle has been withdrawn from service at Chester-le-Street Depot. 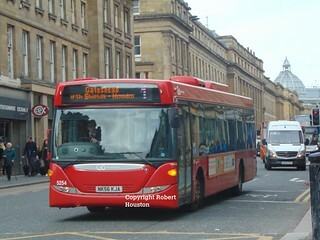 It had already been replaced in the Chester-le-Street fleet allocation last year by Optare Versa V1110/Optare 8295 (NK09 FUT). 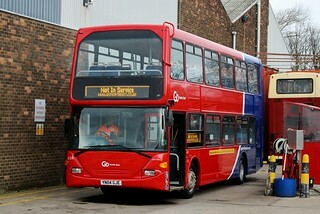 This vehicle has been returned to ADL, following temporary loan to Go North East for demonstration trials. 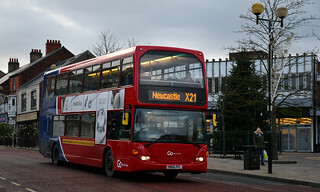 Having been involved in a bridge strike incident at Dunston in Gateshead, this vehicle has been temporarily withdrawn from service at Crook Depot to allow completion of repairs at Thornton Brothers, Ashington. 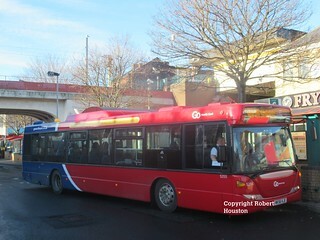 Following a brief trial at Washington Depot, this vehicle has now been withdrawn from service to allow the bus to be decommissioned ahead of its return to ADL. Due to the earlier than planned withdrawal of Scania L94UB/Wright Solar 4992 (YR02 ZYM); this vehicle has returned to full service (having previously been held in a float/reserve capacity), providing a replacement vehicle for it within Deptford Depot's fleet allocation. 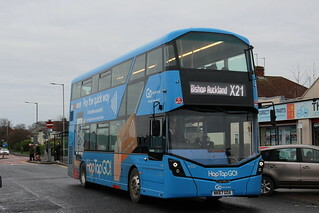 This vehicle has had its seats re-trimmed into Go North East's standard blue 'Go' moquette. 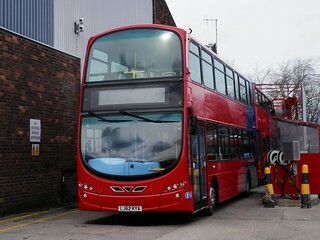 Following the cascade of Scania CN230UB/Scania Omnicity 5234 (NK56 KHB) to Stanley; this vehicle has transferred from Stanley Depot to Percy Main, to provide a replacement bus for Scania L94UB/Wright Solar 4964 (NL52 WVV), which is to be cascaded into the Driver Training fleet. 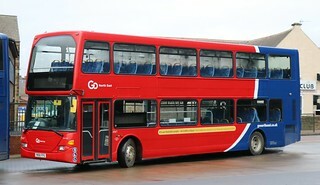 This vehicle has been delivered to Go North East, following internal refurbishment and repaint into Go North East's corporate base livery at Bus & Coach World, Blackburn.